We are a Carfax Advantage Dealer. Carfax certified with a buyback guarantee. Our Vehicles go thru through a pre-sale inspection and smog certification prior to sale! We are happy to answer any questions you may have. We are a family-run business and have been assisting our customers for over 15 years. You are purchasing this vehicle from a licensed bonded dealer with the assurance of safety inspection and smog check! This is not a risky private party purchase. 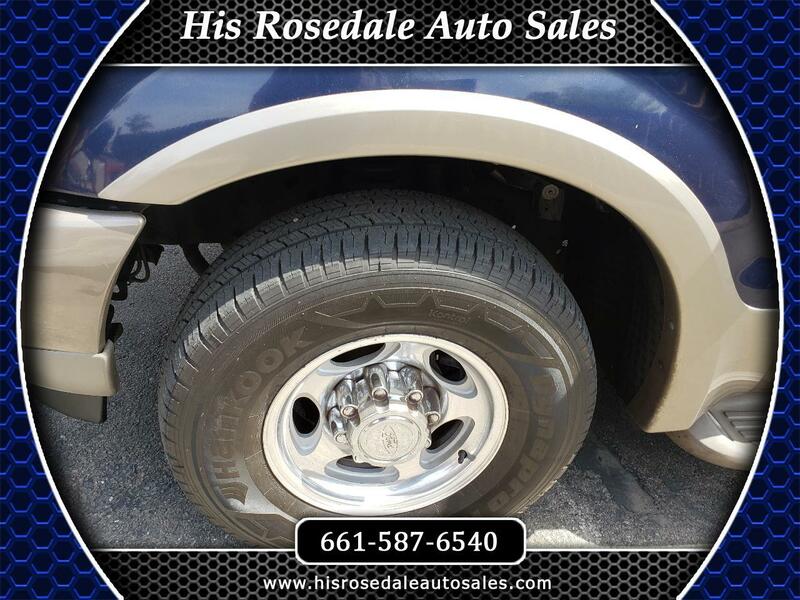 Check out the rest of our inventory online at... www.hisrosedaleautosales.com. YES, WE HAVE FINANCING !! Very low rates are available O.A.C. We work with all Credit types and Trades are welcome. apply today at hisrosedaleautosales.com We accept Cash, cashiers checks. And Trade In's. A purchaser is welcome to check out our vehicles as much as they like onsite. A prospective buyer has the right to have the vehicle inspected by a local licensed shop at their expense and by appointment during normal business hours. We are open until 5:30 pm. or “last customer” most days. Sunday appointments are available for delivery of purchased vehicles. His Rosedale Auto Sales does not guarantee electrical components or accessories including but not limited to factory installed/aftermarket cd players DVD players touchscreens or navigation units...Visit His Rosedale Auto Sales online at www.hisrosedaleautosales.com to see more pictures of this vehicle or call us at (661)587-6540 today to schedule your test drive. Call us directly (661)587-6540.between 11 am and 5:30 pm or last customer Monday through Friday, and after 1 pm on weds We are located at 9701 Rosedale hwy, Bakersfield, Ca. 93311 ALL VEHICLES SUBJECT TO PRIOR SALE! Message: Thought you might be interested in this 2003 Ford Excursion.